Home > Receptionist > Urgent Staff Recruitment to Australia - Apply Now! Urgent Staff Recruitment to Australia - Apply Now! Arcadis is the leading global natural and built asset design and consultancy firm working in partnership with our clients to deliver exceptional and sustainable outcomes through the application of design, consultancy, engineering, project and management services. ARCADIS differentiates through its talented and passionate people and its unique combination of capabilities covering the whole asset life cycle, its deep market sector insights and its ability to integrate health, safety and sustainability into the design and delivery of solutions across the globe. We are 28,000 people that generate €2.5 billion in revenues. We support UN-Habitat with knowledge and expertise to improve the quality of life in rapidly growing cities around the world. 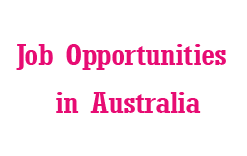 Current Job Opportunities in Australia.